We can show you the principal TRIZ tools, but you don’t have to use them all. Everyone finds tools that they prefer, and then sticks to the tools that work best for them. 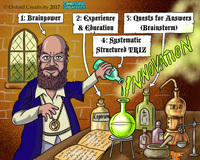 With Oxford TRIZ you don’t have to bend your way of thinking and working around an inflexible toolkit. 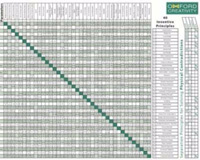 See below for downloads of the Contradiction Matrix and 40 Inventive Principles. Our TRIZ training courses help you get results fast. 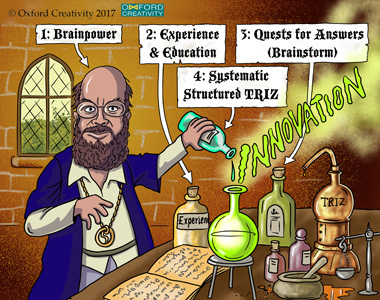 Oxford Creativity has developed Oxford TRIZ and its simple processes to apply these concept lists to your most difficult problems, making these wonderful tools easy to understand and use by everybody. Problem solving often involves understanding and resolving conflicting requirements - improvement in one part is at the expense of something else getting worse (technical contradictions), or we may want the same thing in opposite states but at different times or places e.g. an umbrella needs to be small and large (physical contradictions). Once we understand the conflict in our requirements then we can use TRIZ processes for uncovering contradictions and the tools for solving them. A contradiction is a simple clash of solutions. Either we want opposite solutions, or by introducing a new solution, i.e. an improving change to one feature in a system, another feature in our system has got worse... There are many situations of wanting opposites ...TRIZ shows us all the way to achieve such opposite benefits. The 40 Principles are solution triggers, very general ideas of how to solve a contradiction. They are the easiest TRIZ tool to use, and the one most likely to give us good solutions fairly easily and quickly. They are the total number of ways (40) the world has found to solve contradictions. Today, in the West, most engineers are taken aback to find there are only 40 simple, and easy to learn, rules for solving engineering and management problems with conflicts. Yes - these 40 Inventive Principles may be used to help solve both technical and non-technical problems quickly and simply. 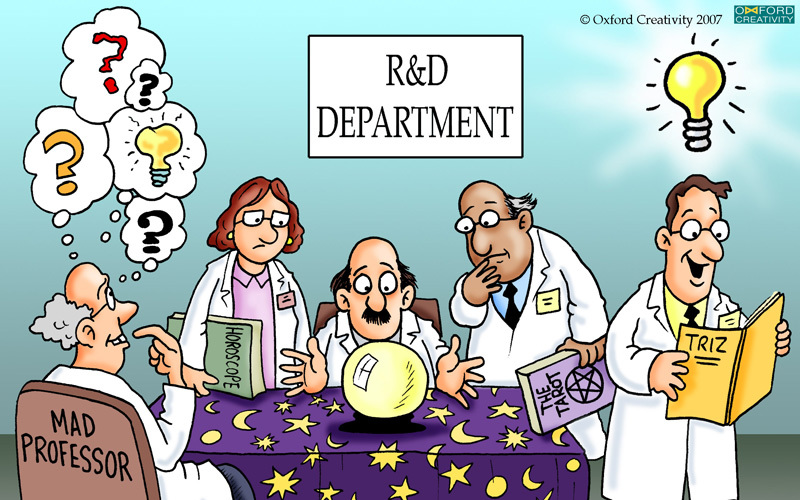 They show us how and where others have successfully eliminated contradictions and take us to the proven, powerful recorded solutions contained in the patent database.